Quadros Systems has partnered with Freescale to bring you a low cost software kit for the MCF5282 and mcf5235 integrated microcontrollers. The LITE Kit includes a free distribution of the RTXC Quadros Real-time Operating System (RTXCss LITE) plus OpenTCP networking software, GNU development tools and sample applications. The LITE Kit is intended to give developers quick and easy access to the powerful ColdFire family. As configured it allows the user to run sample applications and utilized the OpenTCP/IP stack. The RTXC family of embedded software gives you a wide range of options for developing your network-connected device. Use the free distribution of RTXC/ss LITE provided with the LITE Kit or expand your horizons with full source code distributions of RTXC Quadros. If the OpenTCP software is too limited for your applications, take a look at RTXC Quadnet TCP/IP, a full-function TCP/IP stack. RTXC products are royalty-free and (with the exception of the LITE version) are licensed with full source code. The LITE Edition is a binary distribution of the RTXC Quadros Single Stack RTOS (RTXC/ss) in a fixed configuration, with limitations on the number of kernel objects available. The LITE Edition is available free of charge, with no royalties or restrictions on how you use it. 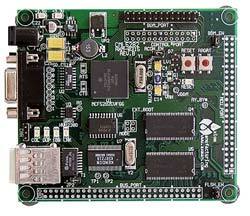 It is suited for demonstration, evaluation, and proof-of-concept, or for small projects with limited functionality. RTXC/ss is a specialized real-time executive designed for real-time systems requiring a very small footprint and low overhead. RTXC/ss utilizes a single stack for executing both application and RTOS code. It delivers efficient and flexible scheduling with real-time, deterministic performance. Ideal for handling block data, such as in DSP applications, this well organized, real-time framework will give you the control you need to handle multiple processes, interrupts and timely execution. RTXC/ss offers a wealth of features, but is easy to use, even for those who have never worked with an operating system.